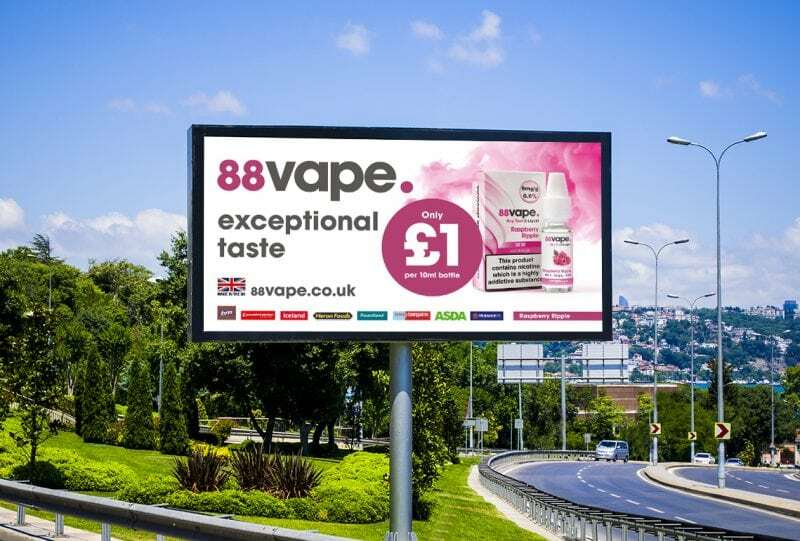 Another exciting outdoor advertising campaign for 88vape. This campaign draws attention to the exceptional taste 88vape‘s e-liquids deliver to the consumer taste after taste. Across nearly 90 locations up and down the country, including major cities; London, Manchester, Birmingham and Edinburgh, 88vape is most certainly on tour!